With over 40 years of working experience! Are there replacement sections for my overhead door? 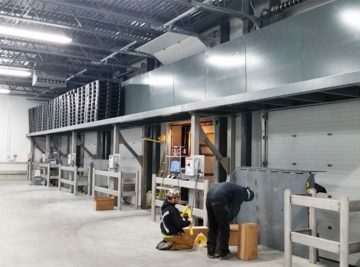 Yes, Easy Lift Doors can replace sections (panels) of your damaged overhead door whether they are at the bottom, middle or top of your door. 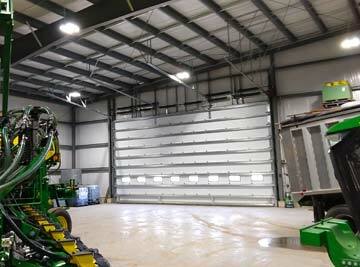 We can replace sections for any type of agricultural, commercial, industrial or residential overhead door. When replacing only a damaged section of an old door there may be a difference in color and sheen between new and old sections. The difference can be lessened by painting the sections or waxing the undamaged sections with car wax to match the shine between the sections. If the damage is more extensive and you need to replace more than a couple of sections, it may be cheaper to get the entire door replaced. 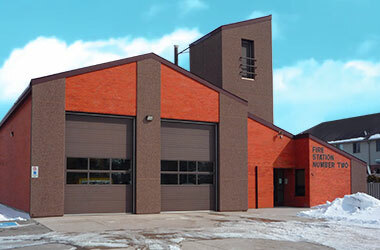 Inquire about our replacement sections and we can give you a free quote. 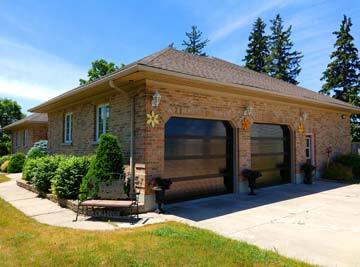 Can I choose where the window sections of my garage door are placed? 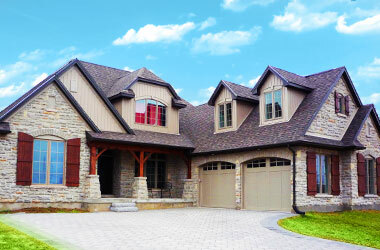 In residential garage doors the window section is placed in either the third section (second from the top) or the fourth (top) section depending on why you want to add windows. If you want to be able to look through the windows the third section is best. 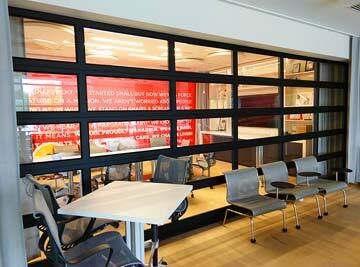 If you want privacy but still want to let daylight in, the fourth section is the best. If you want to be able to look outside but still want some privacy, you can request other window panes options such as obscure glass which still lets light in while maintaining privacy. It is also possible to place windows for example on only one side of the door in each panel, creating a vertical column of windows. This makes for a great contemporary look. 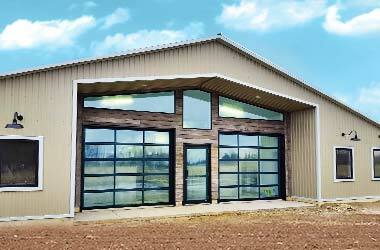 For other window locations Styleview Series or Contemporary Series may be an option to pursue. 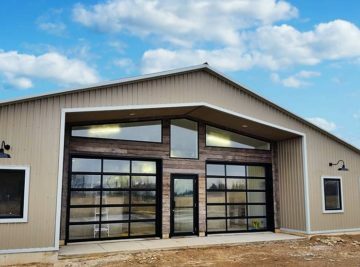 For generally larger commercial doors the placement of the window section depends on the surrounding structure and building aesthetics. 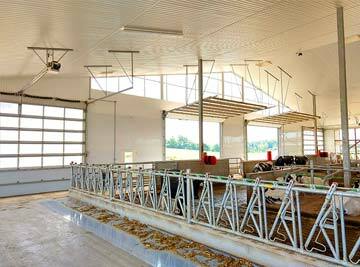 Take into consideration where other windows in the building are placed and again what the purpose of the windows on the overhead door are. 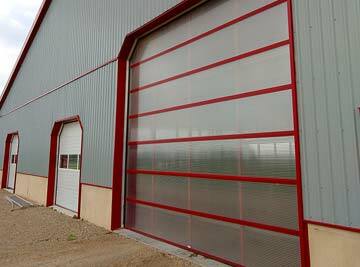 It is also possible to install several window sections on top of each other or make the entire door see-through. 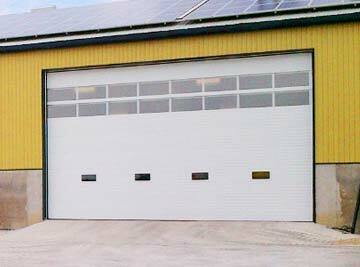 A so called full-view overhead door has glass windows in all sections. 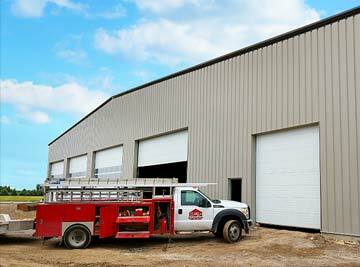 An alternative is installing an overhead door where see-through window panes are made out of lighter polycarbonate or acrylic material. 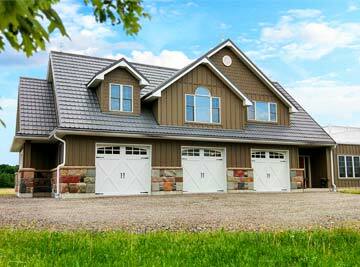 Tell us about your needs and we can give you a free quote and discuss options.